When life gives me lemon..., no, when life gives me CHIPPED NAILS, I make nailart over it!! 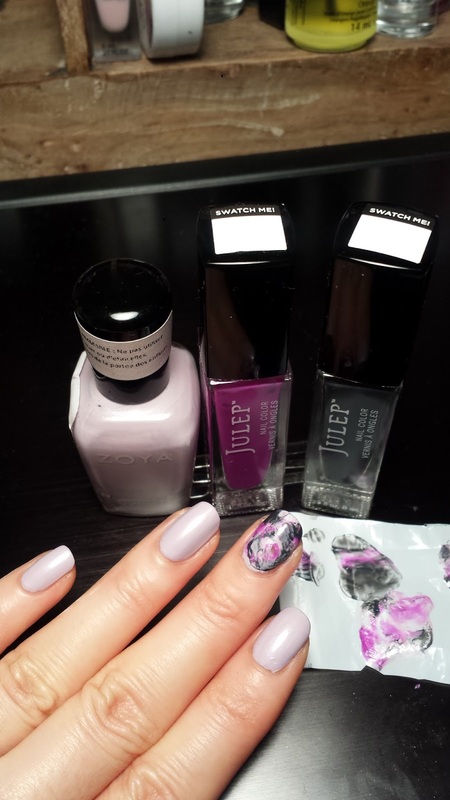 I painted this gorgeous looking lavender by Zoya in a couple of coats and waited long enough as my other average nail polishes dry time and went to bed. 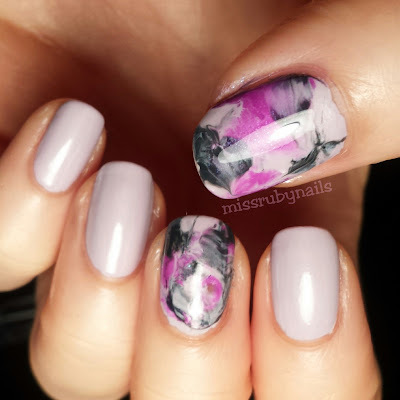 I woke up with chipped nails! Not impressed! 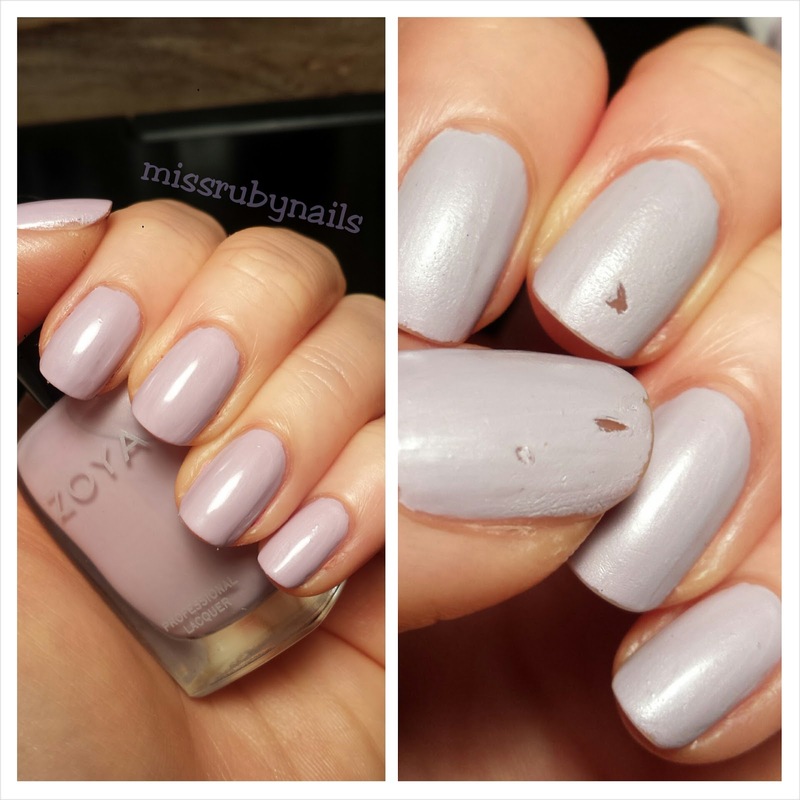 I find that happens to most of my Zoya polishes. I know Zoya is a more non-toxic nail polish brand but I won't be reaching for them if they are not as good as my other non-toxic ones! 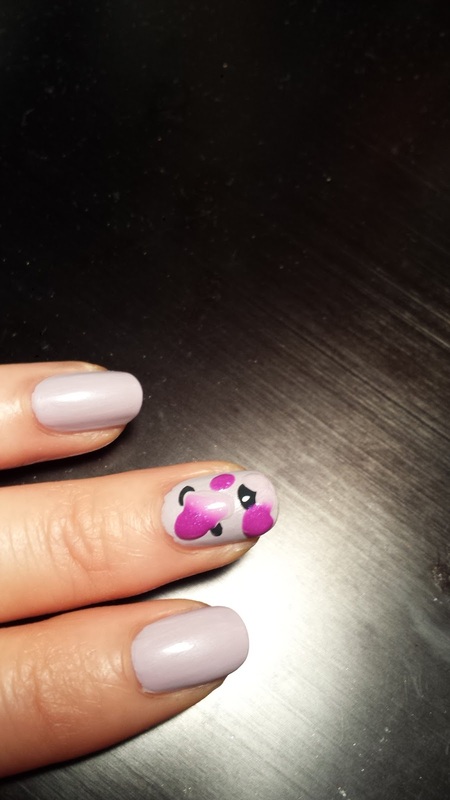 Well, I had to rescue this set of nails so I decided to paint over the really chipped ones. 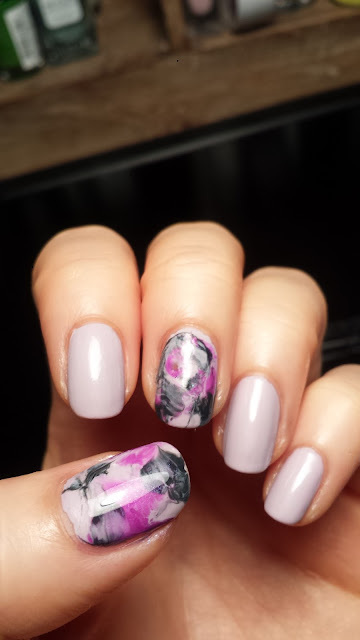 I first dropped the black/purple and the same lavender color on the nail, then I lightly pressed on the wet polish using a piece of plastic bag and there we have the dry marble effect! 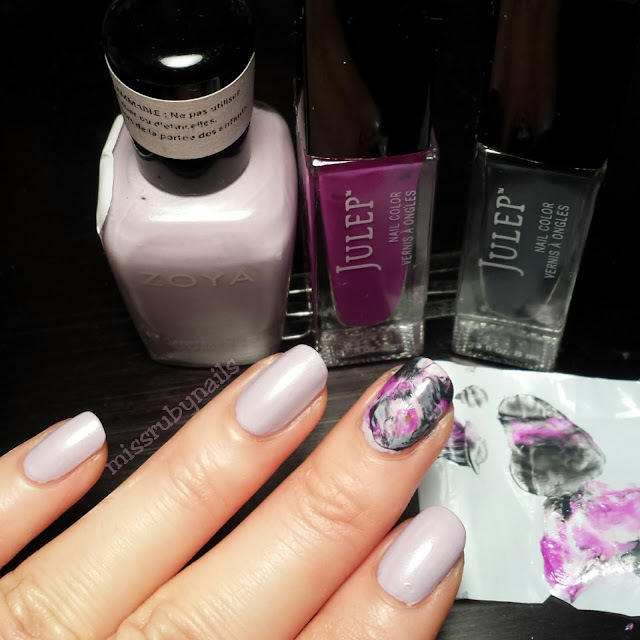 If you don't like the first attempt, you can wait for it to dry and repeat these steps until you are happy!